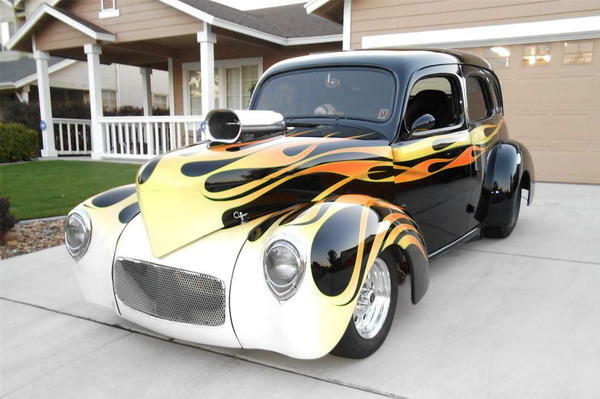 This is the last car painted by legendary custom car painter and artist Ronald Dean Winkler (Wink) before his unfortunate passing in 2014. The flames are incredible. All of Wink's flame jobs were unique, one-of-a-kind. The paint on this car looks like a mirror. Always a car show favorite. There are not a lot of these original steel body cars left. Don't let this one get away! Starts right up and runs cool. Never raced, built to be a weekend cruiser. You can drive it home. 350 4-bolt nicely built for power and daily cruising. Recent custom Multi-stage flames over black paint painted by "Wink"!